Are you ready to push yourself out of your comfort zone in the name Bristol’s animals in need? We have a huge range of challenges you can choose from, ranging from training for your very first marathon, all the way through to skydiving and trekking the Great Wall of China! Whether you are a seasoned athlete or brand new to running, we’d love to have you run for us! We regularly have teams of runners in the Bristol 10k and Bristol Half Marathon would you like to join them? We also have runners in races across the country such as Bath Half Marathon, Cardiff Half Marathon and many fun 5k races. We will provide you will your exclusive Bristol A.R.C. running top, fundraising pack, training plan (for 5k, 10k, half marathon and marathons) and full support from our fundraising team throughout your fundraising. 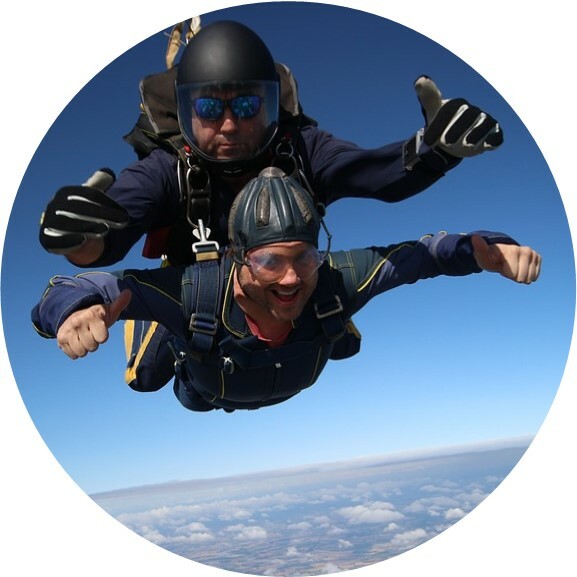 We have teamed up with Go Skydive to give fundraisers looking for a thrill a chance to jump from either 10,000ft or 15,000ft whilst raising vital funds for the animals in our care! This is a truly amazing experience – you will literally fall through the air and rush towards the earth at about 125 mph. The rush is spectacular – and is often described as flying! 1) Pay a deposit of £50 to secure your jump and raise a minimum of £395 to cover the cost of your jump and help care for our animals. 2) Pay the full price of the jump at £225 (10% discount for charity jumpers) and all your fundraising will go directly to helping the animals in our care. For option 2 we do not ask for a minimum fundraising amount, you are able to set your fundraising target to a level you are comfortable with. Book your skydive here today! Trek in the footsteps of the Incas in Peru; drive a team of huskies through a frozen Lapland, the Aurora Borealis overhead; hack a path through the Borneo jungle; white-water raft down the mighty Zambezi River or cycle through the Canadian Rockies. These and many more Adventure Challenges are available to those seeking to raise money for the Bristol A.R.C.! In partnership with experienced adventure tour operators, Global Adventure Challenges, we can offer you the experience of a lifetime. And while you’re enjoying the challenge of the great outdoors abroad, you’ll be raising funds for animal welfare back home. Take a look at all the amazing adventures just waiting to be had at Global Adventure Challenges website and contact us on fundraising@bristolarc.org.uk for more information. Book your adventure here today!